When I first got my 4 cats, I didn’t know any better than to give them what was most popular in the stores or what my vet would recommend. It was dry food or kibble. Yet, I had an issue with dehydration with 2 of my cats and I didn’t know why. This led me to dig a bit deeper on whether or not dry food was actually good, long-term, for my cats. So, is dry food bad for cats? I would say that nutrition that your cat food contains is more important whether it’s wet or dry. Although, dry food is known to cause health issues, is high in carbohydrates and contains protein from vegetables. They need protein from real meat. This isn’t ideal for our cats. They are carnivores and their kidneys need real nutrition, not man-made by-products. Just FOCUS on the nutrients in your cat’s food. Fresh, raw or cooked food. UPDATE: I talk about NomNomNow being my fresh cooked food I feed my cats here. Considering the differing opinions available on the subject, the answer may not be that simple for you and for some of us, it may be downright confusing. Let’s face it, you love your felines, and you want the best when it comes to their nutrition and long term health. In order to get some answers, you not only have to ask the right questions, but you also have to pour through articles, opinions and the recommendations of your family Vet. 1. What are some of the pros and cons of having your feline babies on a dry food diet? 2. Are there any health risks involved by having your cat on an exclusively dry diet? 3. What are some of the alternatives available to you when trying to make such an important decision? 4. How do you make the right choice for your cat? 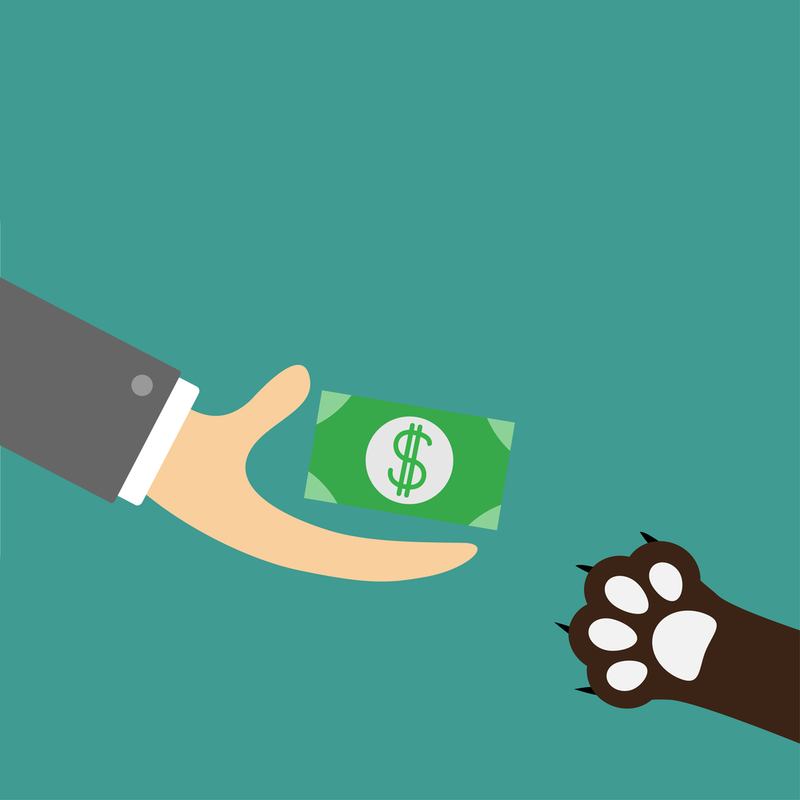 Realizing that these questions may seem overwhelming, I set out to get some answers for you and for any four-legged fur-ball owners that may be facing the same dilemma. According to Dr. Barchas VM, a Veterinarian from San Francisco, cats can thrive on a dry food, wet food or a diet which combines both of these. Clearly, a higher water content in cat food is beneficial to your cat’s health. This may surprise some of you, but wet food is a natural source of water containing approximately 75% water as opposed to the 10% water content in dry food. Cats who consume a dry food diet, are more prone to dehydration and as you can imagine, this can have numerous health consequences for your furry friend. Whether you’re new to owning a cat, or a pro at it, it’s probably not a secret to you, that cats are not natural water drinkers. And as a cat owner, you are able to provide different options to improve the water intake in your cat’s diet. One of the options available to you is the recirculating water fountain. You’ve probably seen them in most pet stores, or even online, and some Vets are recommending them as opposed to a common water bowl. The only thing about those fountain water bowls is to change out those filters! Our cats, by nature, are hunters. They find great pleasure in seeking out a water source that is not stagnating, so it makes sense that the sound of trickling water will awaken not only their curiosity but also their thirst. While in the wild, cats hunt and drag their prey to safety before they eat it and they never feast near water so, it is also recommended, that you place their water in an area different from where you place their food. So, if you ever wondered why your cats never drink out of the bowl next to their food… now you know. I didn’t know this, so I had to relocate my kitties water across the room. I want to share, that all 4 of my cats are huge water drinkers. They love it when I add ice! – The added clumps and a significant increase in the number of times you’ll be cleaning out their litter boxes! Another health concern you may have to consider if your cat is on a dry food diet is the elevated caloric intake. Especially if your kitty has all-day access to a bowl of dry food. For my 7-year-old cat at the time, he’s 13 now, he was overweight. By the time a vet visit was due, I got schooled by the doctor to stop leaving dry food out all day/night. That’s when we made the switch to wet. Bubbas had to be put on a prescribed wet food only diet and lost 3 lbs. in 6 months! I could only buy this canned food from the vet every thirty days, super expensive. Unlimited access to dry food has been proven to promote obesity in our furry friends and is due to the elevated carbohydrates, which are then converted into an unnatural and elevated sugar count. The risk of this can also lead to feline diabetes or kidney disease. To avoid this, most vets recommend that cats have no more than 2-3 small servings of food within a 24-hour period, and caution, that you should never let your cat go without food for more than 24 hours. Does Dry Cat Food Clean Their Teeth? For years, cat owners just like us, have been under the belief, myself included, that dry food helps to prevent dental disease. There is a divide amongst veterinarians on this very topic. Some say that the residue from the dry food leads to plaque and dental disease, while others say dry food has some small benefits to overall dental health. According to some veterinarians, the benefits of dry food for dental health is just a myth and they point out, that if cats were to regurgitate shortly after eating, and some do, that most of their ingested dry food/kibble, is found whole in their vomit. Since cats are meant to tear their food, and not chew it, they swallow most of it whole. What this means for our babies is, that they are not gaining any dental benefits from eating dry food/kibble. 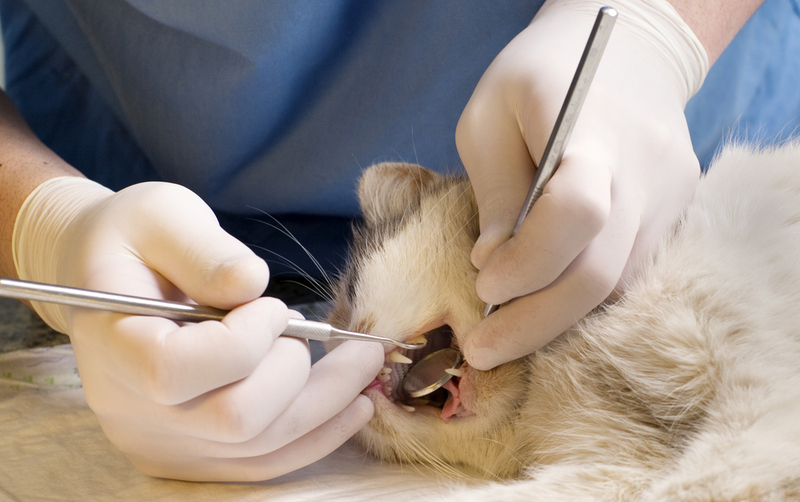 The one thing all vets seem to agree with is that good dental health requires daily brushing, routine dental check-ups and periodic cleanings for your cat. Here is a simple toothbrush for cats set that’s small enough to get into their mouth. For us, it’s a 2 person job. One to hold their mouth open and one to do the quick brush strokes. But who really does daily brushing?! I have 4 cats and I don’t do this BUT I do bi-annual teeth cleaning for them. High price to pay for my lack of brushing their teeth. They make brushing a cat’s teeth sound so simple. I now use these Earth wipes for their teeth at night only. You can get these at Amazon or from your vet. Well, it actually is depending on the temper of your kitty. The video below is an entertaining way to teach you how to brush cats teeth. Not sure how your kitties react to a foreign object swishing around in their mouth, but mine want no part of squeaky clean teeth, fresh scented breath or dental hygiene in general. They flip on each other when I get their teeth cleaned every time. Like they don’t know they have been living together for the last 10+ years. Check out my latest post that dives deeper into caring for your cat’s teeth and gums! How Much Does Cat Food Cost Per Month? 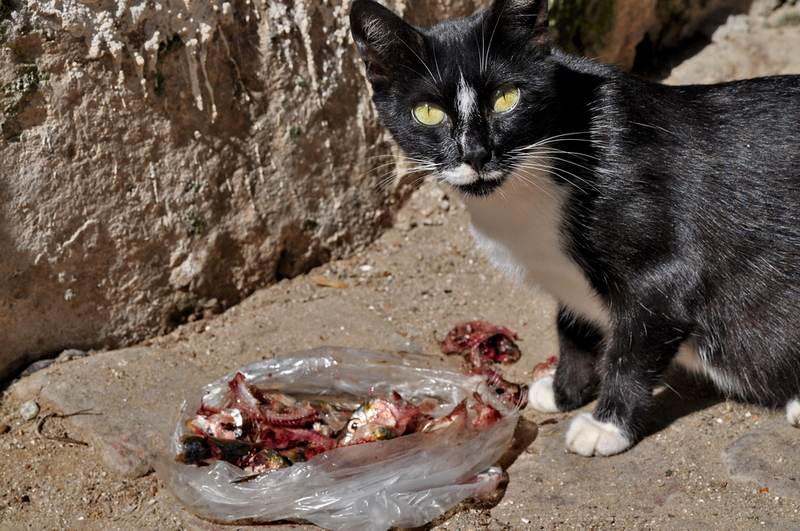 We love our pets, and without question, we want to do the right thing by them, but sometimes the cost of food can be a factor in what we choose to feed our cats. As we shop for our feline’s food, we’ve probably noticed what the market research shows. Dry food is less costly than its wet food counterpart, and it’s also more convenient since it can be left out for extended periods of time without spoiling. If you’re like me, you prefer to feed your cat a combination, actually just wet pate. The only issue is my youngest female doesn’t like wet food at all. UPDATE: She eats wet food now only! See my post here. I used Fortiflora to help with the transition. Vets say that there can be a happy medium by providing a diet that combines both dry and wet foods. Everyone has an opinion, and some say giving your cat wet food twice a day, while leaving a limited amount of dry food in their bowls during the day, might be a good way to fulfill their nutritional needs while also promoting good health. But to be honest, I wouldn’t leave any food out for cats to graze on. I did this for years and my cats became overweight by a few pounds. I think they were pushing 16 lbs. Like mentioned above, I was advised to a strict wet food diet for 3 months and report back to the vet. Low and behold, my 16 ponder lost 3 lbs. and never had so much energy! If you can, just stay away from dry food. Do You Really Need To Focus On A Raw Cat Food Diet? Another option available to you is going with a completely raw food diet. After all, cats are carnivores and prey on other animals to survive in the wild. Dr. Andrea Tasi, VM recommends, that you feed your cat with a meat-based, raw and grain-free diet. She goes on to explain, that in her practice, she has seen considerable health benefits for many of her furry patients, who have transitioned from a diet of wet, dry or a combination of both. Hare Today – need a 10 lb. min order weight, need to learn how to transition but a great place to start. There are also countless websites, that can guide a cat lover, like you, on the proper preparation techniques for homemade raw foods, and many of these sites include recipes. You’ll just need to keep in mind, that making your own raw cat food requires the right dietary formulation of supplements including fish oils, taurine and vitamin B and E complexes… just to name a few. This, of course, is in addition, to the raw meat ingredient of rabbit, chicken, fish or whatever other meat you choose or your cat will tolerate. Dr. Andrea Tasi, VM highly endorses a raw diet, but admits, that most vets caution against them, due to the high content of bacteria and the complexity of making raw foods. The Centers for Disease Control and Prevention (CDC) recommends exercising great caution when feeding or preparing raw foods for your cat. They also warn pet owners, that although your pet may seem healthy while eating raw diets, they can become carriers of germs like salmonella or listeria which may have harmful and even fatal consequences. Over-all Vets recommend a grain free diet, void of fillers such as corn, wheat, soy, meal-by-products, artificial colors, flavors or preservatives in both dry and wet foods. Keep in mind, that there are wet foods out there that are not so great for your cat and lack the nutritional value your cat needs. The same applies to some dry foods on the market. So, when you find yourself in a pet store, or your local supermarket attempting to find the best food for your kitty, where should you start? Well, vets recommended that you start by choosing a premium cat food, and by premium, they mean of better quality. Unfortunately, the only way to determine which food is a better quality food, is by carefully reading the ingredient and nutritional labels or just go raw. The Wellness brand is what I fed my overweight cat: He went from 18 lbs. to 16 lbs. on Wellness. We’re working on getting him to 13.5 lbs. It may be tedious, or even time consuming, but the love you have for your feline and the desire to have them around for years to come, makes it all worth it. You should always consult with your family veterinarian if you need help making the best decision for your cat, before changing your cat’s diet, or transitioning your pet to a completely raw diet.